What Makes a Home More Energy Efficient? 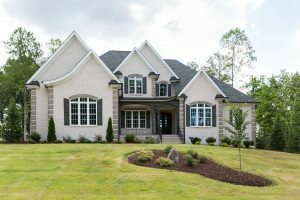 One thing any new home builder in Summerfield, NC, can tell you is that the homes they are building today are far more efficient than those they were building even ten years ago. In part, this may be due to massive changes in building codes that require contractors to meet stringent new guidelines. But it is also due to new materials, new construction techniques and more. There have been many advances in building material design over the past few decades. Where once when utilities were cheap, a single pane of glass set in a wood or aluminum frame was sufficient, today we work with double and triple glazed windows that are gas filled for maximum energy efficiency. New insulation methods and materials such as expanding foam now create walls that lose virtually no heat. The drive to achieve more in this area comes directly from consumers who constantly demand more. Today’s home buyers are tending more towards building bigger houses rather than smaller ones. The bigger the house, the more it is going to cost to cool, heat, and illuminate. This has led to new developments in energy saving appliances, heat pumps instead of furnaces and air conditioners, and the widespread demand for LED lighting that costs pennies per year to run. This same concept applies to stoves, refrigerators, hot water heaters, and virtually every other appliance being installed by every new home builder in Summerfield, NC. It is no longer acceptable to use appliances that are not ultra-efficient. These are among the biggest ways in which the energy efficiency of new homes continues to improve. Is There a Point Where a Home Can Be Too Energy Efficient? To put it quite simply, no there is no point at which a new home can become too energy efficient. The average home built today can be up to 30 percent larger than a similar home built only five years ago and yet only increase the utility bills by approximately 2 percent thanks to the latest in energy efficiency technology. If you want a home that is bigger than your current home and yet costs you no more than your current utility bill, it is quite possible. You need to work very closely with your new home builders in Summerfield, NC to add several changes in the design, materials, and appliances to meet your energy efficiency desires. Most have the skills needed to create “high-rated” energy efficient homes using the very latest technologies. Homes like these far exceed the standards for the average home and leave the federal standards sitting in the dust. There is more to an energy efficient home than simply saving you money on your monthly power bill. When your home is built to these standards, you should never experience hot or cold spots nor should the bottom floor be colder than the upper one. These are some of the reasons why new homes are more energy efficient than those built only a few years ago. If you are interested in having an ultra-high energy efficient home built, call R&K Custom Homes at (336) 643-3503. We specialize in building energy efficient homes using the latest technologies and materials. https://www.randkcustomhomes.net/wp-content/uploads/2016/08/logo.png 0 0 Megan Boyd https://www.randkcustomhomes.net/wp-content/uploads/2016/08/logo.png Megan Boyd2017-02-12 02:34:412017-08-02 02:40:35What Makes a Home More Energy Efficient?